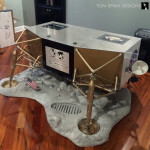 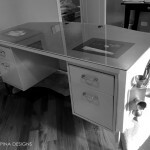 Our Lunar Module Desk is a custom furniture tribute to the moon landing! 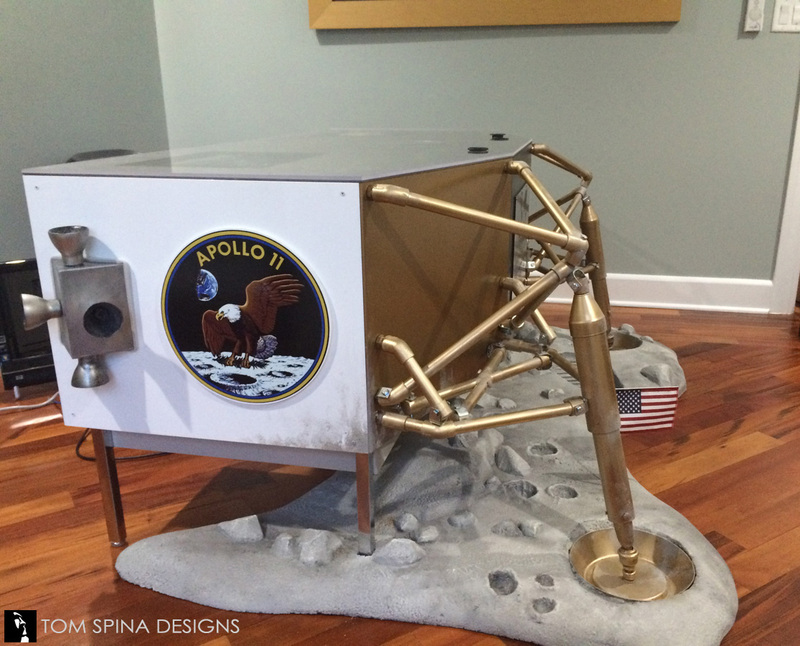 A client asked us to create an Apollo 11 moon landing… desk? 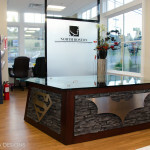 Yes, we have the coolest clients ever. We came up with functional furniture in the form of the Lunar Module Desk themed to the classic space mission for his home office! 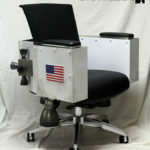 We started with a 60’s style office desk and custom built out the front and sides to mimic the unique shape of the Lunar Module (aka the Lunar Lander or LEM) that touched down to allow mankind’s first steps on the moon’s surface back in 1969. 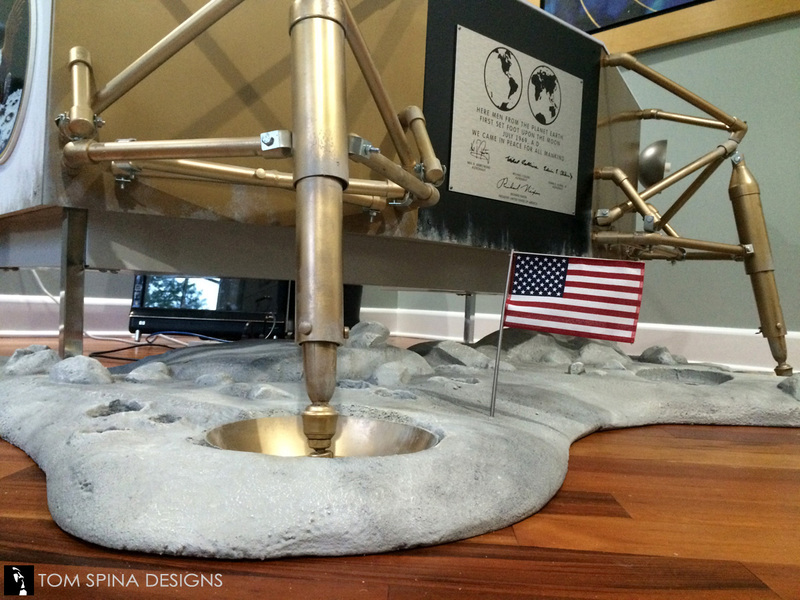 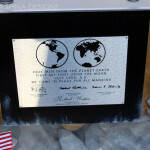 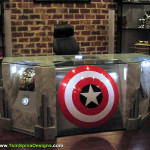 The sides of the custom desk feature various LEM inspired gear and the logos for the moon landing mission and NASA. 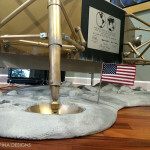 The front is adorned with lunar landing legs made in golden toned pipes. 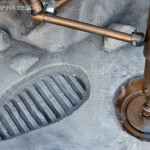 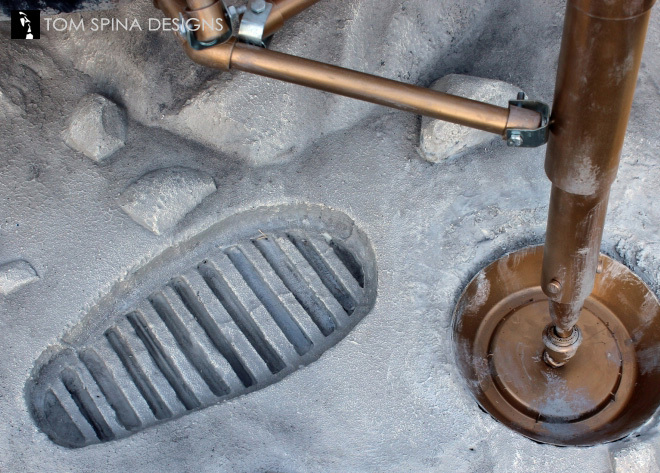 The legs sit atop a custom sculpted, hand carved foam lunar surface, complete with flag and the iconic first astronaut footprint in the moon dust. 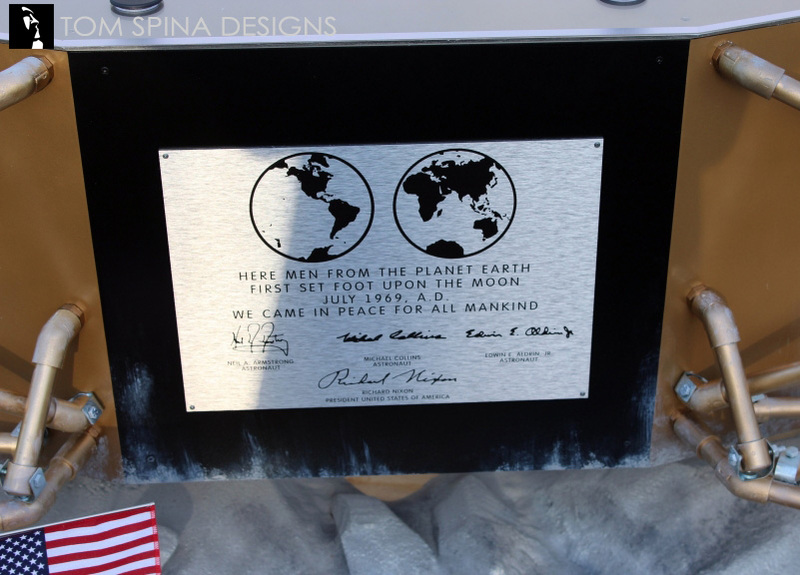 While the custom desk is loaded with moon landing related details, the themed desk also has a very special feature – the top allows our client two display spaces for his original autographs from Apollo 11 astronauts Buzz Aldrin, Neil Armstrong and Michael Collins! 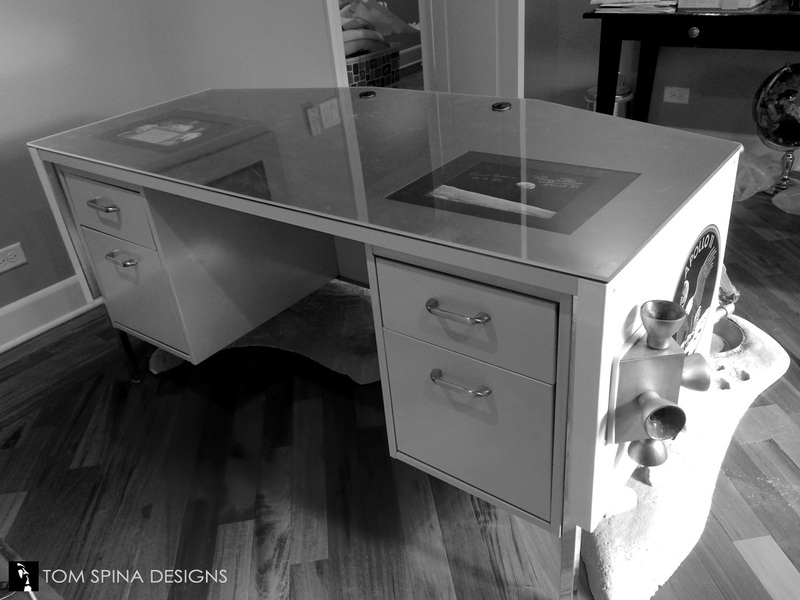 We absolutely love creating custom themed desks, coffee tables and furniture, and we hope that someday we can bring this level of creativity into your home, home cinema or even your company trade show booth! 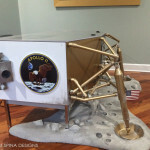 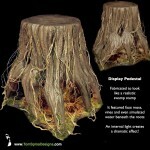 Looking for one of a kind space inspired custom decor or furniture?